INTJ is one of the 16 personality types identified by the Myer-Briggs Type Indicator personality assessment. For you to be able to understand what this personality, you first need to understand what the initials I, N, T, and J represent. These initials represent, introverted, intuitive, thinking and judging. This personality type is also known as the “Architect,” or the “Strategic.” The people falling under this personality type, are people who possess high analytical, logical and creative skills. People of this personality type form about two percent of the population with women forming about 0.8% of this. Here are a few things that you should know about INTJ personality type, to understand who these people are. Architects or strategists have several characteristics that distinguish them from other personality types. 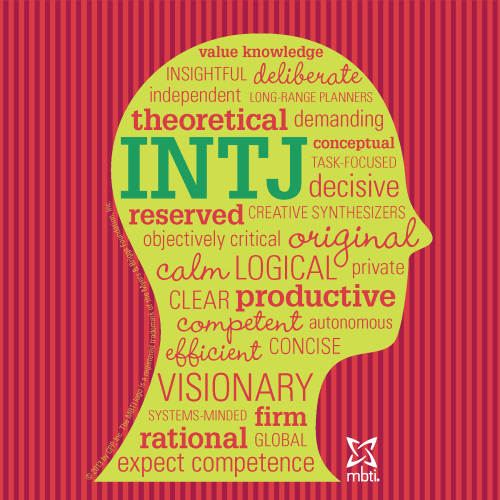 INTJ personality characteristics include: People with INTJ personality are prone to being introverted, and they also prefer to work on assignments and projects alone. These people tend to focus on the big picture, and they also like to put their focus on abstract information rather than concrete details. Strategists prefer to plan ahead of time because they like to feel that their world is in order and that it is under control. Finally, architects choose to forego subjective emotions and feelings, for logic and objectivity about different matters. There are different strengths which characterize people in this personality category. These strengths are; Architects are people who enjoy concepts which are theoretical and abstract. These people are good listeners, and if you need an ear to listen to you, you should definitely discuss your matters with friends who have this personality type. Architects have high self-esteem, are very hardworking and are self-motivated. Architects have high expectations, and therefore, they expect exemplary performance from themselves and from others too. Last but not least, they take criticism really well, and they use it as a stepping stone to better themselves. As all other personality types, INTJ personality type also comes with some flaws. These arise from the characteristics of this personality type. Some of the shortcomings in INTJ personality type are; people who fall under this personality type can be overly analytical and judgmental at times. These people are perfectionists, and sometimes they can have extremely high expectations and expect and accept nothing but perfection from you; and as you know, no one in this world is perfect. Lastly, strategists prefer to completely avoid talking about emotions and may at times view your emotionality as you being a weak person. There are several personalities and famous people from past and current times, who have this personality type. These people include; Russia’s president, Vladimir Putin, former actor and senator Arnold Schwarzenegger, Former US president Thomas Jefferson, author C.S Lewis, Michelle Obama among many others. Parents in this personality type are thoughtful and attentive, although they do not exhibit a lot of affection. This is also evident in romantic relationships where INTJ personality partners hold understanding and loyalty in very high esteem and not necessarily exhibition of affection and love. When it comes to friendship, INJTs are very committed and persistent friends.